4 payments of $1,265.96 to be paid over the next 4 months (1 payment due each month) to pay the remaining balance. Integrally suppressed MP5SD from Dakota Tactical, the masters of roller-lock. Combine the qualify of Dakota Tactical and collectability and demand of the iconic MP5SD and you have this ultimate HK setup. This is configured as an A1 pistol and does not come with a suppressor, although one is required for use. 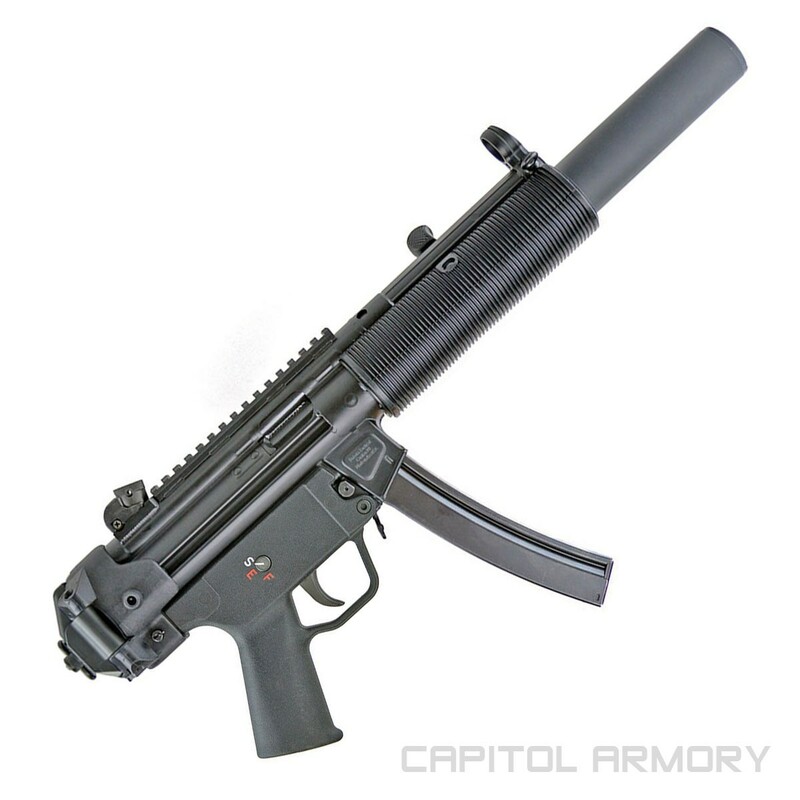 Customers may purchase a B&T MP5SD suppressor along with this pistol. Please call for details. Pictured with B&T HK MP5-SD suppressor and/or stock. This is an ultra rare build from Dakota that we do not see often. It is in-stock and ready to transfer immediately. Integrally suppressed MP5SD from Dakota Tactical, the masters of roller-lock. Combine the qualify of Dakota Tactical and collectability and demand of the iconic MP5SD and you have this ultimate HK setup. This is configured as an A1 pistol and does not come with a suppressor, although one is required for use. Customers may purchase a B&T MP5SD suppressor along with this pistol. Please call for details. Pictured with B&T HK MP5-SD suppressor and/or stock.